April 9 2019 - If you have recently hired a new employee, Millennial or not, here are six tips to assist you in setting them up for success. April 4 2019 - It's no secret that workplace conflict can have a negative impact on an organisation and its employees. March 26 2019 - There are many reliable project management solutions for HRs to put together teams, improving employees effectiveness. March 13 2019 - Why do employers continue to focus on disengaged employees, rather than the engaged employees they already have in their ranks? March 12 2019 - We live in fast paced times, where no business can - nor indeed should - avoid the implications, challenges and opportunities that come with embracing digital transformation. March 12 2019 - An unconventional technique, yet nonetheless effective, is to improve an employee's memory skills. January 15, 2019 - A more science-based approach to interviewing that helps you find the right candidates, while eliminating many of the personal biases on which you may unconsciously make hiring decisions. January 5 2019 - Here are three of the top emerging collaboration behaviors we'll see taking off in the New Year. December 12 2018 - A natural bond of trust can keep morale and motivation high without your staff feeling like they're under constant pressure or surveillance from those above them. September 7 2018 - When does business information become a business disadvantage? Using today's Business Intelligence (BI) tools can be a bit like trying to drink from a fire hydrant - too much information, from all directions, with no control. July 27 2018 - Adding random traits and unnecessary details about skills and habits employers have no interest in waters down a resume, making it less impressive. July 27 2018 - Amidst all of the recent uncertainty, video is quickly emerging as a powerful corporate communication medium. July 17 2018 - Great benefits and cool office perks are no longer enough, employees want simple digital experiences that make work, work better for them. July 14 2018 - This article explains why you need to be flexible and adaptable with communication in the digital age. June 29 2018 - Whether the workplace atmosphere is dominated by a loud CEO, a talkative sales exec or Brenda in accounts, there can often be a clear line drawn in the sand between introverts and extroverts. April 15 2018 - The exit interview has been seen as an exercise in qualitative feedback, with responses delivering very little actionable data back to the business. April 11 2018 - Have you ever considered the importance of branding and design in attracting top talent to your business? April 5 2018 - When you're a local business it's sometimes hard to imagine you can compete with big, national or even international players when it comes to recruiting talent. March 27 2018 - Here are several steps, tips and pointers that can be used to help one overcome a creative block. March 6 2018 - The faster new hires feel welcomed and prepared for their jobs, the faster they will be able to successfully contribute to the business. February 27 2018 - Here are a few reasons why you need to educate your employees to take cybersecurity seriously, as well as several tips on how to do so with a much greater efficiency. Global Are You Listening To Your Employees Enough? February 27 2018 - When organisations choose not to listen to their employees, they also decide to forego a hugely valuable resource. February 7 2018 - Five hot trends shaping the industry. February 2 2018 - While much common sense meeting room etiquette remains relevant, advances in technology mean that some of the old, more bureaucratic rules can be thrown out. February 1 2018 - Workers who are more engaged at work tend to be more calm, confident, positive, inspiring and motivated. January 12 2018 - Being someone's manager when you know they have the skills and abilities required to be your manager can sometimes feel a little awkward. December 5 2017 - Compared to customers, employees simply do not have the same opportunities or platforms available to voice their opinions on their experience at work. November 27 2017 - Various studies have shown that people with high EQ usually have quite a lot of characteristics of a good employee. October 23 2017 - Ever been fooled by a bogus email? October 4 2017 - As an introvert, you may wonder how you can successfully be a leader. It can be done, and many introverts have been amongst the best leaders of all time - but success does not come without hardships. September 20 2017 - Many companies bring people with different talents and expertise together to work toward achieving key organizational goals. September 18 2017 - Are you an HR company owner or an HR freelancer who wants to attract more clients to your business? 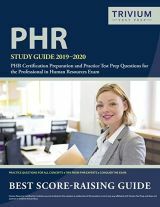 September 18 2017 - For HR professionals, a thorough understanding of recruitment, training, and retention is essential for running an effective human resources department in the construction industry. July 14 2017 - Communicating this to an employee is a very difficult and delicate matter. July 12 2017 - With many opportunities for adult learning, there is no reason why careers need to stagnate purely because of age. June 23 2017 - Whether your office environment has actually become unpleasant or you simply feel as though things aren't as great as they could be, you have plenty of options to remedy the situation. June 7 2017 - If you are struggling with underperforming employees, here are a few ways to improve the situation. June 5 2017 - Some helpful information that you can use to empower your workforce and fix those underlying issues that may be affecting your productivity. May 12 2017 - Team building can play a huge part in strengthening a corporate culture and a great tool in achieving an efficient organisation. May 11 2017 - Sometimes, when all other avenues have failed, it is necessary to say goodbye to underperforming employees in order to optimise business efficiency. March 28 2017 - A commander with such prestige could surely teach us about people management. March 15 2017 - Contrary to what others might think, cloud systems can actually offer enhanced data security compared to traditional payroll systems. February 23 2017 - A new Call Centre Code launched by the Victorian Government has been welcomed by the ASU. February 3 2017 - Open-minded HR departments can reap the rewards of building an engaged workforce and unlock the benefits this creates for the business as a whole. January 4 2017 - The training of young lawyers is still wedded to 20th or even 19th century thinking: they are taught how to look for and identify problems, not how to solve them. December 9 2016 - Potential employees with good EI can be expected to work better under pressure. December 5 2016 - Whatever the size of your business, employers need to keep abreast of changes in employment law. There have been some interesting cases in 2016 which have given clarification on key decisions which employers may face in the workplace. Brexit and Employment Law - just business as usual? November 24 2016 - Since the UK's decision to leave the European Union, uncertainty surrounding the legal implications have been widespread; particularly within the UK employment law landscape. What do HR Recruiters Look for When Assessing Graduates? October 25 2016 - Recruiting from the graduate skills market is not the same as drawing from a pool of experienced candidates. How Will Accounting Make You a Better HR Manager? August 29 2016 - There are a lot of ways knowledge in accounting can help you perform better as an HR manager. August 11 2016 - The certainty of change coming down the line makes this the perfect time to take a look at the challenges inherent in introducing any change within an organisation. July 29 2016 - The importance of an efficient performance management system is fairly universally accepted in HR circles. Global - Hiring Candidates is Similar to Dating in Today's World? June 3 2016 - Just like dating or matchmaking, the goal of recruitment is to find someone who's the perfect fit. March 23 2016 - Social media's presence in the workplace grows more prolific by the day, and as such is impacting the way in which managers, employees and even job applicants communicate. Duvet Days - What Are They, And Should You Offer Them? February 5 2016 - Let's be honest, plenty of us pull 'sickies' in order to have a Duvet Day. Which is why some companies are cutting right to the chase and making Duvet Days a legitimate thing. UK vs US = Who's Winning the Social Recruitment Battle? January 25 2016 - In the UK as many as 60% of recruiters have not used social media in the recruitment process compared to just 6% in the US. January 12 2016 - Complex Regional Pain Syndrome (CRPS) is a condition which is a mystery to many simply due to the fact that is not easily identified, is often misunderstood and misdiagnosed, and is also not very well publicised. October 30 2015 - Research has shown that not only does a good health benefits package both help to attract employees to a company, it also helps to retain existing staff. October 27 2015 - It is more important than ever to listen to your customers - and if you've ever checked TripAdvisor you'll realise why. August 24 2015 - Last month, the Office of Management and Budget released a plan for modernizing and streamlining the legal immigration system. Much of the focus was on the potential positive impact of digital innovation. August 19 2015 - Open innovation looks beyond internal ideas for innovation, exploring new and external routes to market and means of demarcating brands from competitors. June 30 2015 - The recent case of Bear Scotland Ltd v Fulton has been responsible for two important developments in the law relating to holiday pay. June 30 2015 - In his new book, Nigel Purse talks about the critical need for leaders to build trusting relationships with employees of all levels, and reveals the key conversations they need to have to do this. 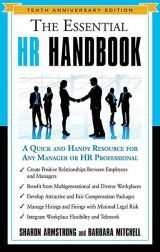 June 24 2015 - Here are some ways in which HR has changed in past years. June 23 2015 - Surfing social media, printing CVs out at work and browsing the net are just some of the things that UK employees get up to during work hours, according to a study. April 21 2015 - What is the real story about management in the fashion industry? How is it that they achieve and maintain such high levels of performance in such a demanding environment? Looking to the future - are your feet on the ground or in the clouds? March 20 2015 - In this article, Mark McKergow explores the various ways in which managers and leaders view the future including the dreamer, the realist, the business planner and the host. March 17 2015 - The adult (aged 21 and over) minimum wage rate will increase from £6.50 to £6.70 an hour in October. December 2 2014 - As the Christmas season draws closer, company Christmas videos start to circulate to employees, customers, partners and associates. October 24 2014 - The modern employee is no longer tied to an office desktop. Whether it is on a smartphone, a laptop or a tablet, employees are increasingly taking their work with them wherever they go. October 10 2014 - Nearly two in three accountants will be job hunting within the next 6 to 12 months. Global - Can software make better hiring decisions than people? August 6 2014 - A new breed of software claims to be able to select employees who perform better. June 30 2014 - For the first time in years, the news for retailers is looking positive. As a result, employment levels are increasing, with both full time and temporary contracts rising. April 7 2014 - Employers should positively engage a small but dangerous minority of employees, supervise them closely and make sure they get the help they need. What Does the Next-generation Worker Expect from the Modern Employer? March 21 2014 - This is a question that gets asked a lot but the answer is simple: the next-generation worker expects use of state-of-the-art technology, mobile working and the adoption of social media within the enterprise. March 20 2014 - Isn't it time that HR managers took a serious look at eliminating - or at least reducing - paper? February 25 2014 - "Teambuilding" is a much maligned word. From our experience, here are a few things that Teambuilding providers need to keep in mind. February 18 2014 - While a certain level of stress can certainly be a good thing, unmanageable levels of stress can have a very negative impact on both performance and employee health. February 17 2014 - The reforms which come into force on January 31 2014 are intended to reduce bureaucracy and increase flexibility surrounding the regulations. For many employers though, particularly small businesses, the new TUPE rules still do not go nearly far enough. January 17 2014 - When young people have a positive outlook, self-belief and skills for the workplace they are happier, sleep better and are more well-behaved. January 15 2014 - Happy New Employment Year! 2014 promises to be another year of substantial change in UK employment law. December 18 2013 - New statutory rules first trailed last year, have now been announced as coming into force in April 2015, which allow working mothers to effectively share their statutory maternity leave and pay entitlement with their partners. HR app asks workers "how d'you feel right now?" December 16 2013 - John Telfer, managing director at IBP looks at alternative methods for obtaining employee feedback and explains why a healthy dose of gaming theory can bring surprising results. November 8 2013 - October brought further amendments to the law regarding executive pay, national minimum wage, third party harassment provisions and pension protection from TUPE. 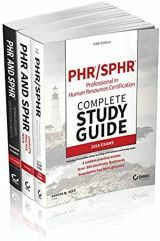 October 25 2013 - As the HR leader, itï¿½s your job to communicate the importance of your initiatives and secure the resources you need to drive results for your department and the organization. October 2 2013 - There has been much recent discussion about the wearing of face veils in public and particularly in the workplace. October 2 2013 - 2013 has been an important year for business owners, HR specialists and employment law practitioners with staged implementation of various changes to employment law and tribunal rules. August 8 2013 - The simple fact is that, in many organizations, Occupational Health and Safety (OH&S) has become a Human Resources (HR) responsibility. July 30 2013 - When managed with transparency and care, business internships create a win-win situation. July 21 2013 - According to a report by the Government spending watchdog, the National Audit Office, large sums of money have seemingly been wasted on unnecessary redundancy pay-outs in the NHS. July 12 2012 - An analysis of 42,000 jobs listed in the last quarter on Trade Me Jobs shows that the New Zealand job market remains positive, with listings up by 8.2 per cent on the same period in 2011. UK - Are you on career suicide watch? UK - Why choose video to communicate? Netherlands - HRM = Business Partner. Is building a bridge over the 'Grand Canyon' possible? UK - Partners in Professional Partnerships claim Employment Status? UK - Sickness during annual leave - it's not as bad as it seems! UK - Protected Conversations: an exciting new initiative or counter-productive for employers? UK - The Future is Bright for Employers - the Future is Blue and Gold! UK - Technology...the biggest distraction in the workplace? UK - To Give An Executive Garden Leave? UK - Is There Inequality in the Workplace Because of a Lack of Understanding About Culture? Netherlands - 'Limited thinking': an obstruction for employees and organizations! Canada - Management Training Programs - In-House or External? Global - Should You Be Sharing That? UK - How can employment lawyers help headhunters place candidates more swiftly? Canada - How do you find that dream job? USA - Do You Really Know Your Contractors? UK - Different Pay Rates For Nurses? Global - What Are Your Responsibilities to Employees if You Buy or Sell a Business? Canada - What is necessary for business success? What Traits Make a Good Marketing Consultant or Manager? What are the Differences Between Investing and Trading? What's Involved in Creating a Campaign Website?